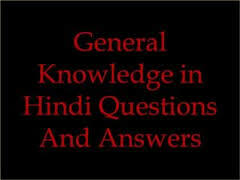 Hindi Grammar Practice Sets 3 for RAS, IAS, UPSC, RPSC, 1st, 2nd, 3rd Grade Teacher,And Date Wise GK Notes and Question With Answer Related REET CTET, LDC, SSC CGL, IBPS, MBA, CAT And REET Level – 1, 2 & 3 Part -II Language – I And More Practice Sets for CTET Exams And CSIR UGC NET Hindi Literature Related Question With Answer And Rajasthan Delhi Police Related Study material And GK Notes. Question. (9). चन्द्रधर शर्मा ‘गुलेरी’ ने किसको पुरानी हिन्दी का प्रथम कवि माना है?